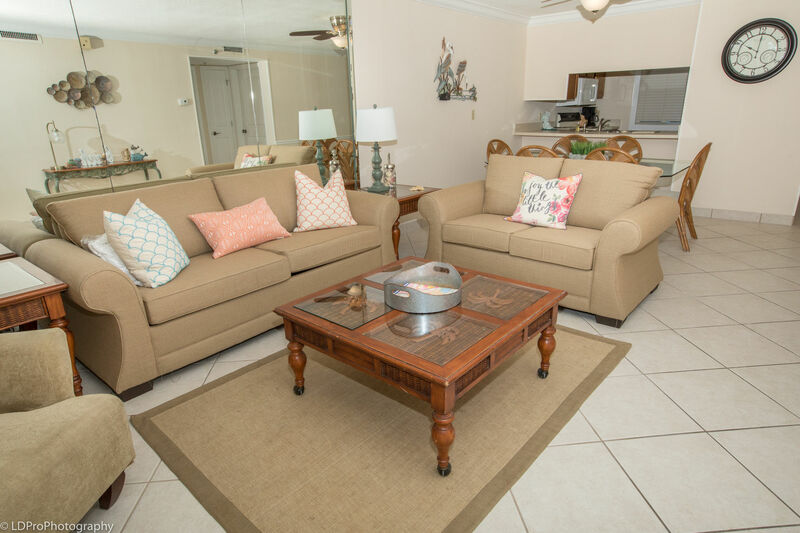 Islander 103 - Holiday Isle Properties, Inc. Welcome to The Islander, room 103. 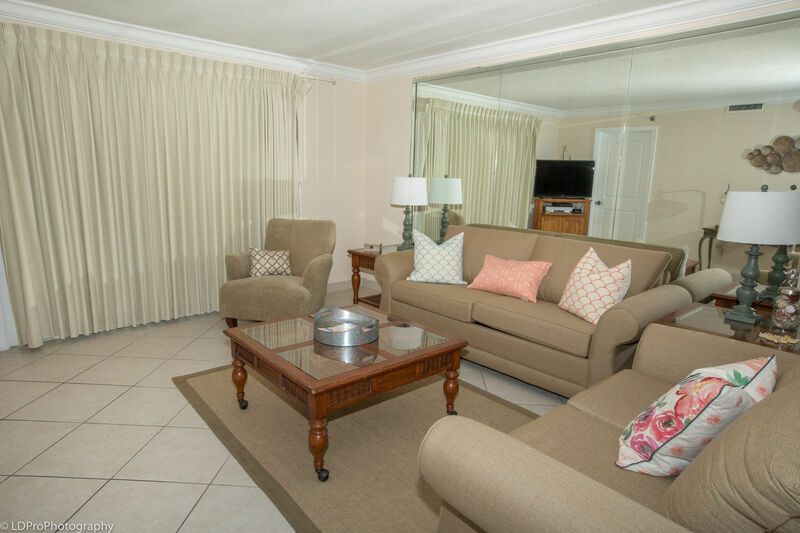 This spacious two bedroom, two bathroom first floor condo, is perfect for a family looking to be near the beach without breaking the bank. 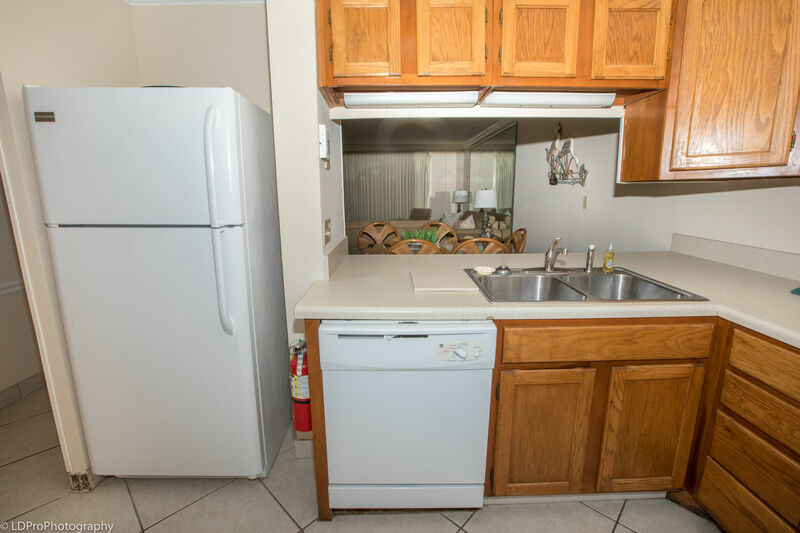 The kitchen is complete with a full size refrigerator, oven, and dishwasher. 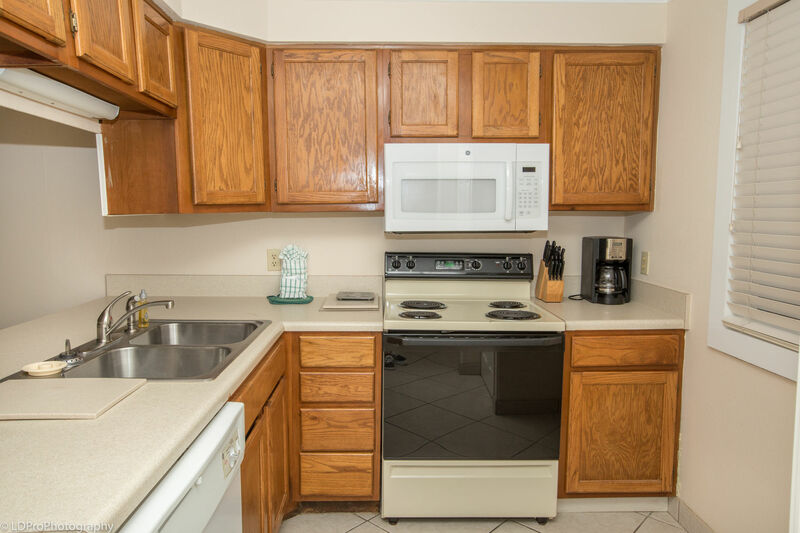 You’ll also have all the dishes, silverware, and accessories you need to prepare your favorite meal. 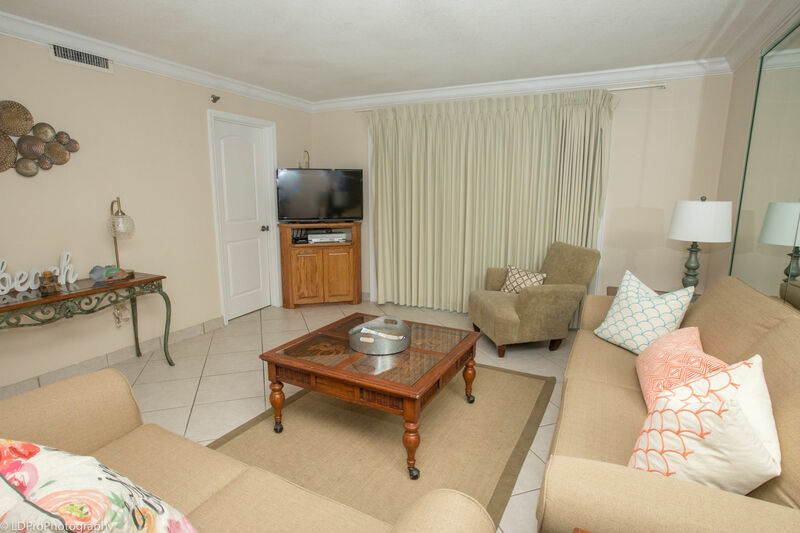 The open living room has a 42” flat-screen HDTV, comfortable seating, and a couch that unfolds into a Sofa Sleeper so your extra guests can sleep easy. 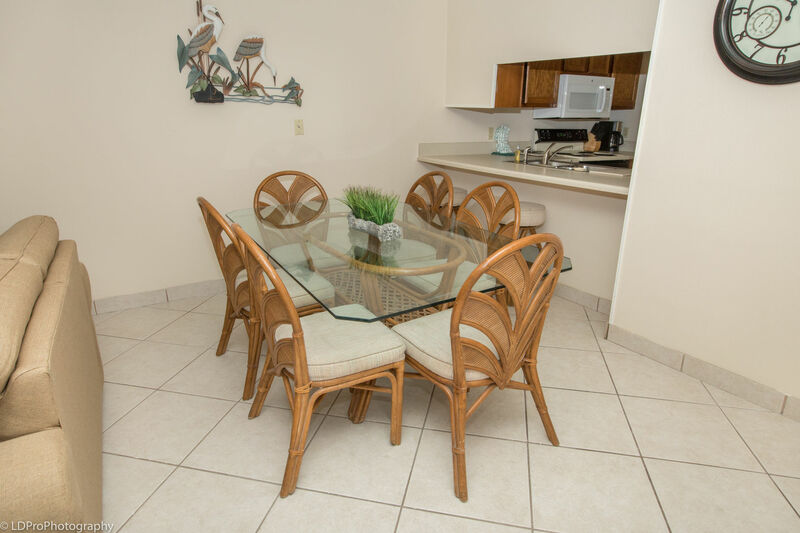 The Dining Area of the Living Room boasts a dining table set for 6. 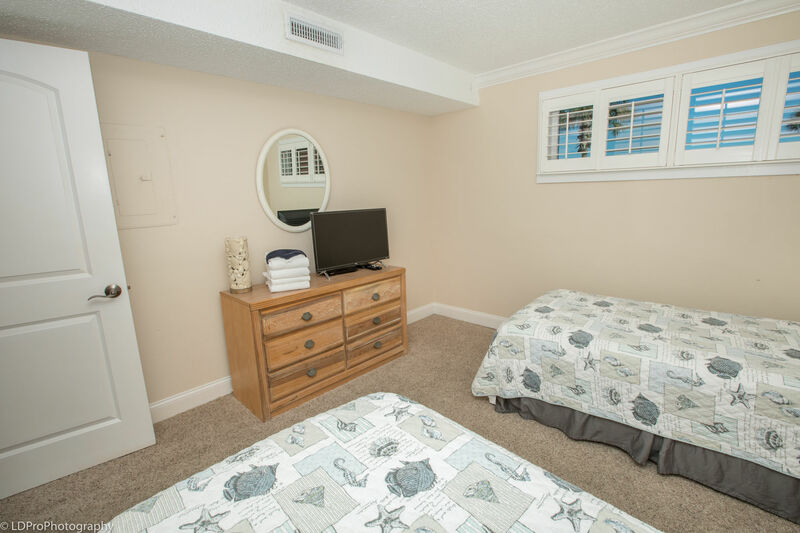 The Guest Bedroom has a two Twin beds and an 18” flat-screen HDTV. 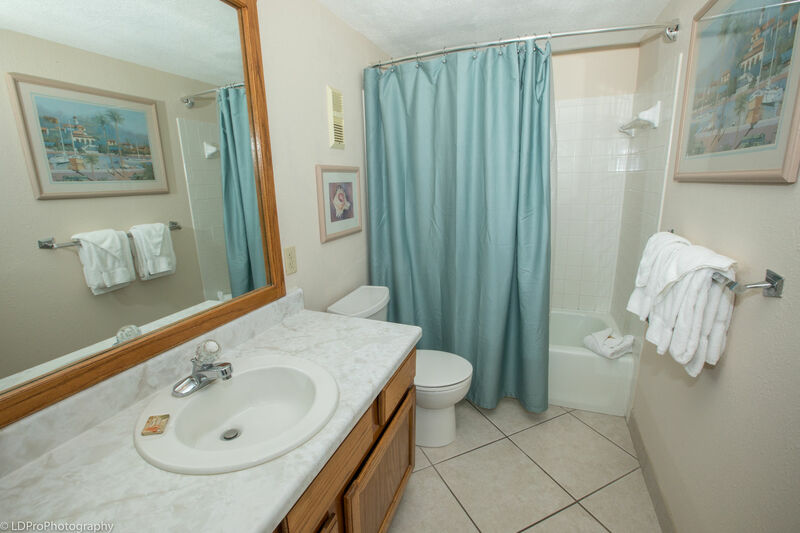 The guest bathroom has a combination tub/shower. 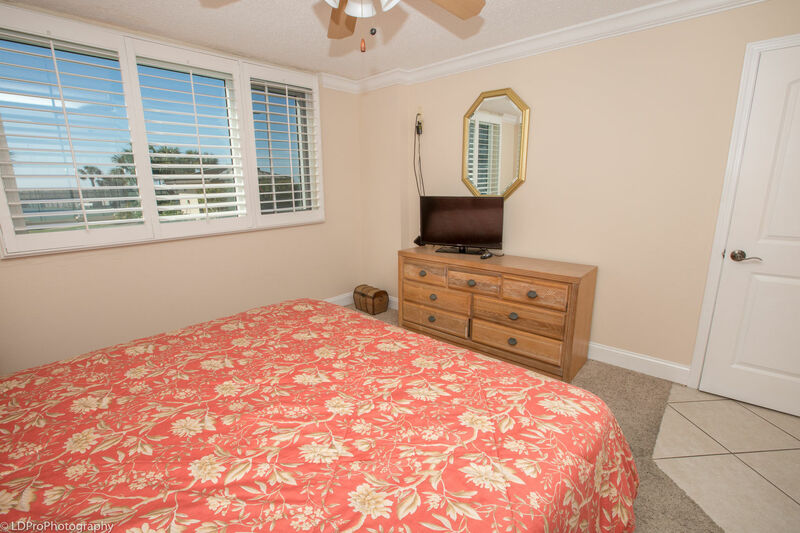 The Master Bedroom has a King bed and a 31” flat-screen HDTV. 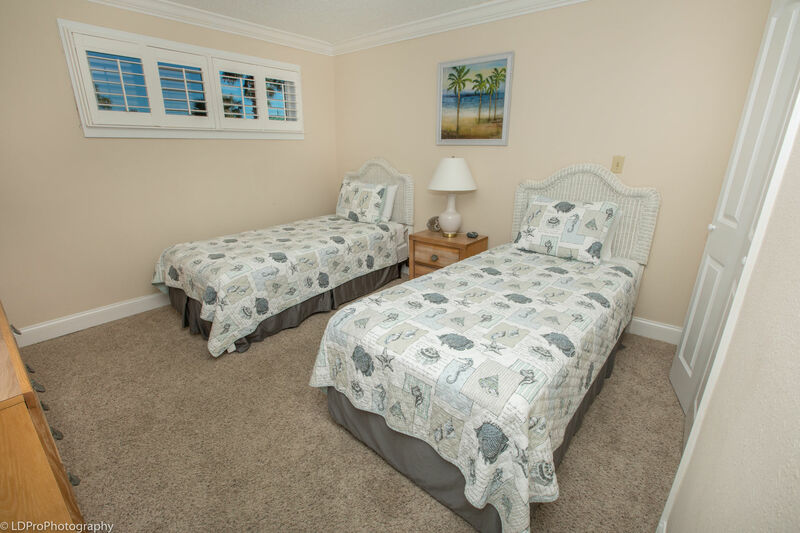 The bedding in the condo sleeps 6 guests. 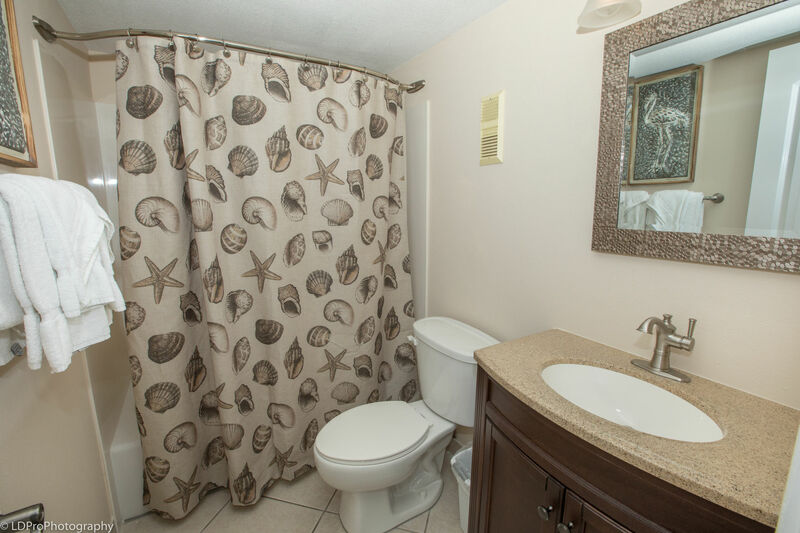 The Master bathroom is private to the Master Bedroom and offers a combination tub/shower as well. 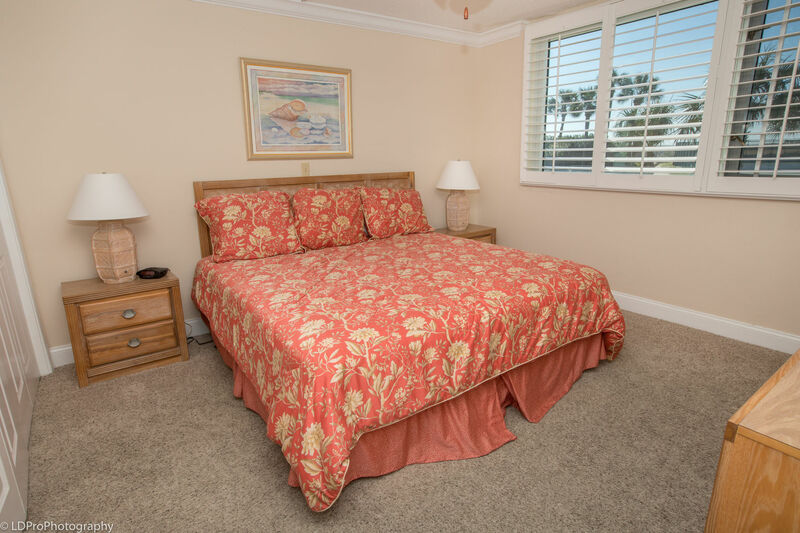 This first floor condo offers great views of the complex and the beach is only around 200 feet away from your patio.